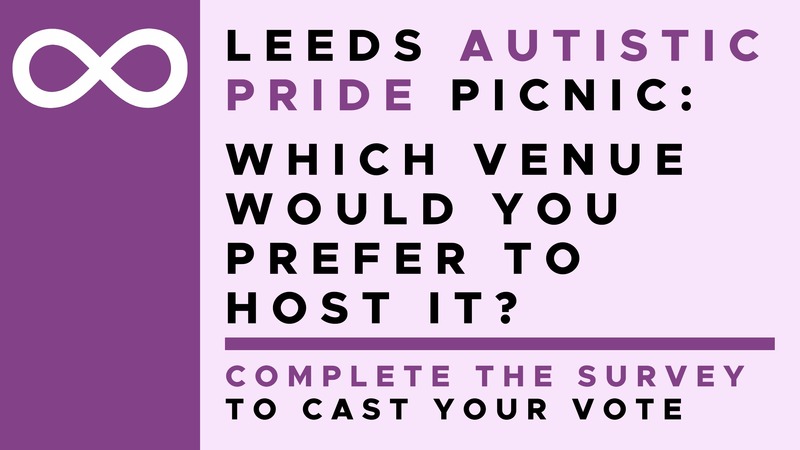 A survey has been created to ask for your views on where in Leeds is best suited to hosting an Autistic Pride Picnic. These picnics are held all over the UK, with cities such as London, Chester, Manchester and Edinburgh hosting one every year. Leeds is yet to host one, but with over 7,000 autistic people in the city, there are a few in the area who would like to see one take place. These events celebrate the idea that being autistic is a good thing. Here is a useful piece on what autistic pride actually means: Autistic Pride. Which park would you prefer to hold a Leeds Autistic Pride Picnic in? At the end of the month, the option which gets the most votes will hold the picnic. A date is yet to be announced, but once it is, we will put something on the AIM website with all the info you need. #AutisticLifeHacks – Share your tips with us!